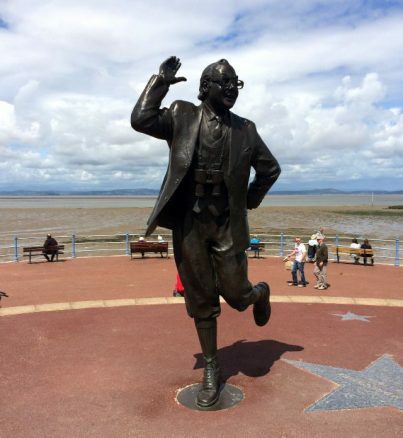 It’s been some time since I visited Morecambe and do you know what, it’s actually quite pleasant. 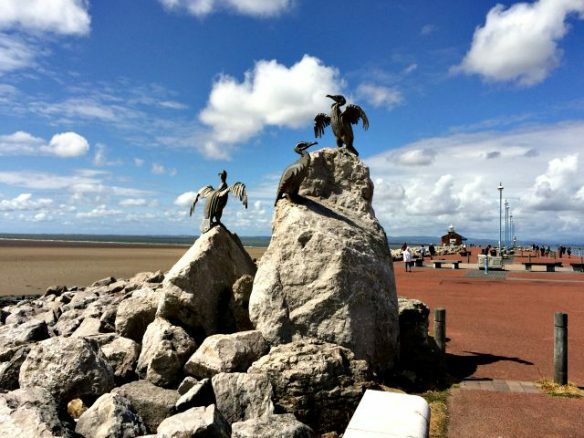 On the back of an enjoyable road trip along the Fylde Coast, Morecambe was our next north-west coastal destination. 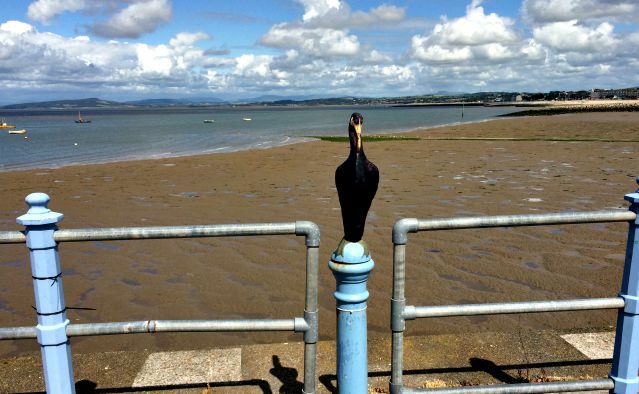 It was an enjoyable day, so here are my top five reasons why you should visit Morecambe. We started our walk at the northern end of the promenade. 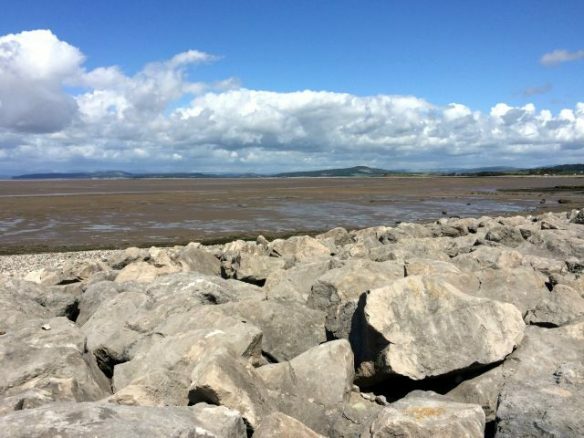 We were treated to excellent views across Morecambe Bay to the lake district. 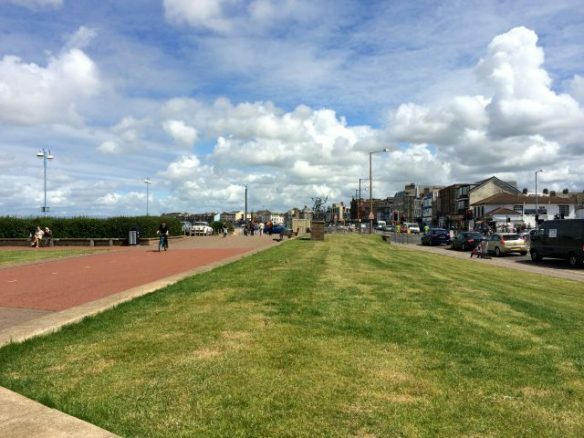 Access for wheelchairs on the promenade is great, it’s long, flat and uncluttered. I think this is pretty cool, you can actually pick out the mountains in the lake district. 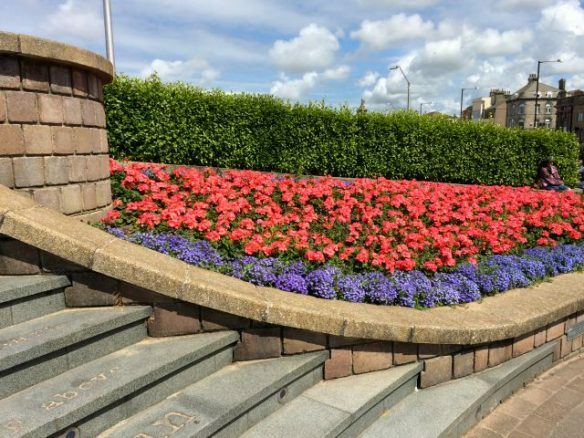 There’s plenty to see as you wander along the promenade. 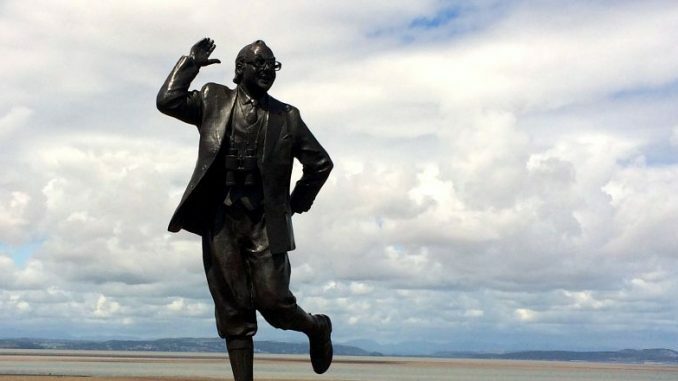 Including installations from the Tern Project and obviously the area’s most famous son, Eric Morecambe. There’s even an access ramp up to Eric! 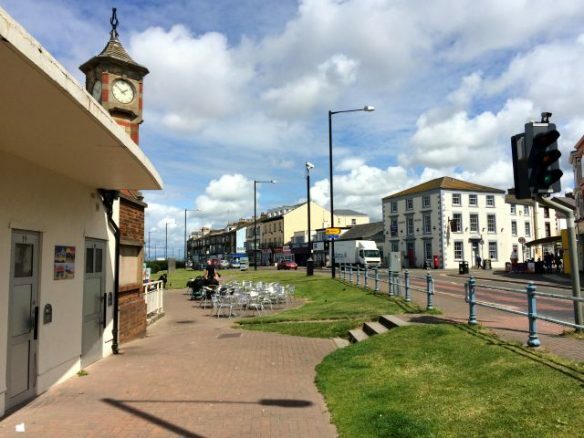 About halfway down the promenade, underneath the clock, is a cafe and set of public toilets. 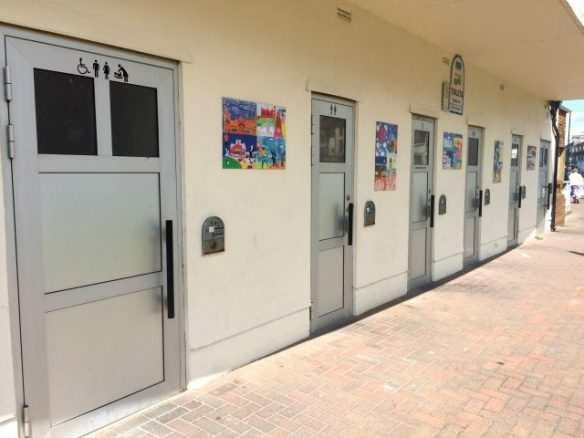 There are two disabled toilets, we used a RADAR key, but I think you can also pay! The thing I like the most about the promenade is how accessible it is. 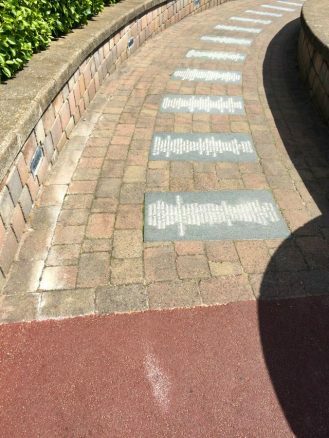 It’s easy to navigate and has breaks in any uneven surfaces for wheelchairs, prams and bikes. 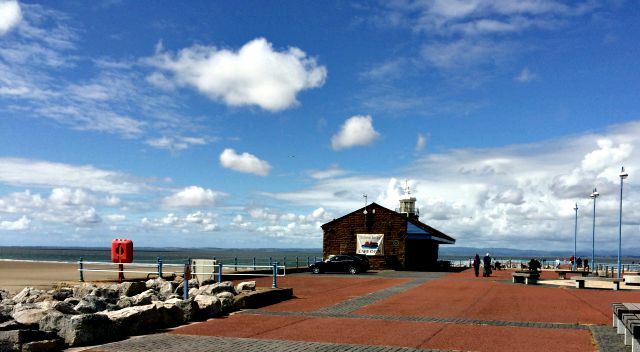 I love this jetty… it’s official. 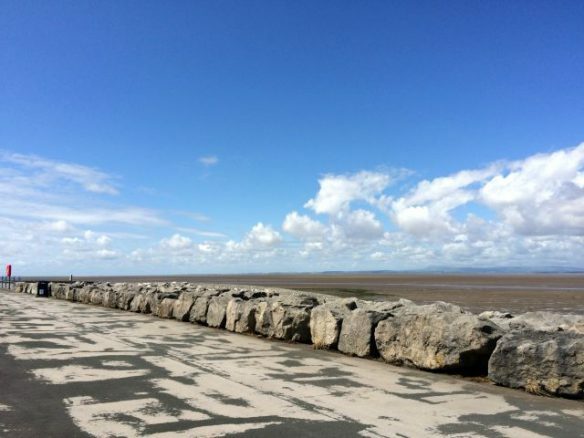 According to Visit Lancashire – Morecambe Stone Jetty, the jetty is all that is left of the original harbour. 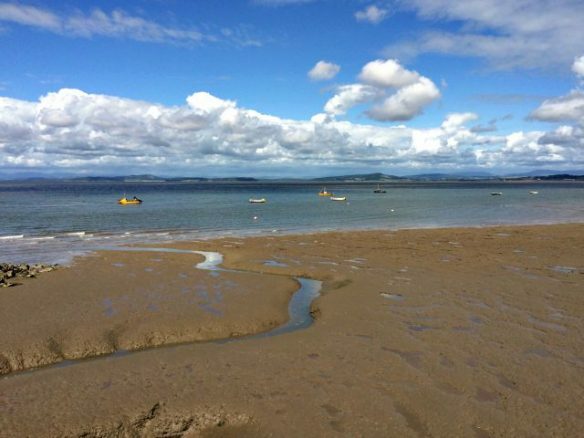 It has been transformed into a lovely walk out into the bay. 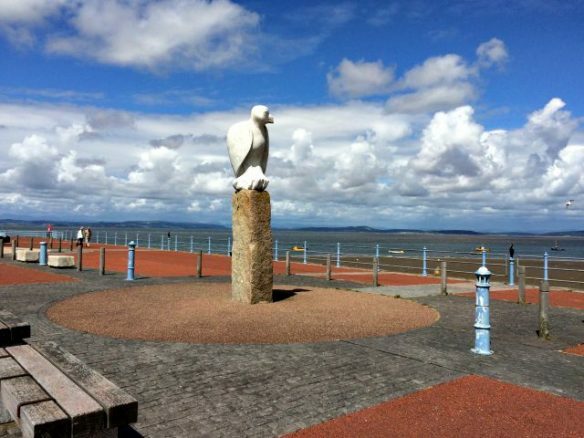 The TERN Project is a collection of award-winning public art installations which celebrates birdlife found in and around Morecambe Bay. At the end of the jetty, is a cafe serving hot and cold food. 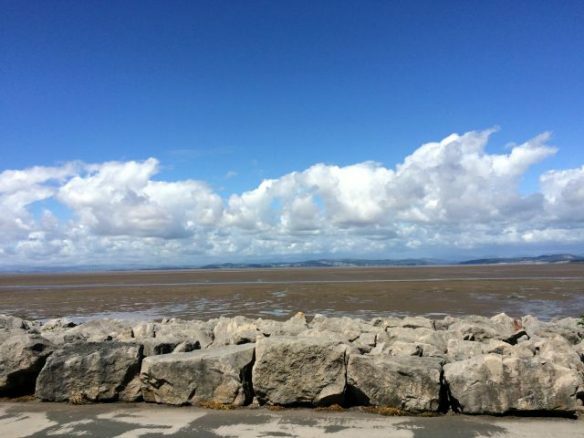 It’s a great place to take a rest and absorb the views across the bay. 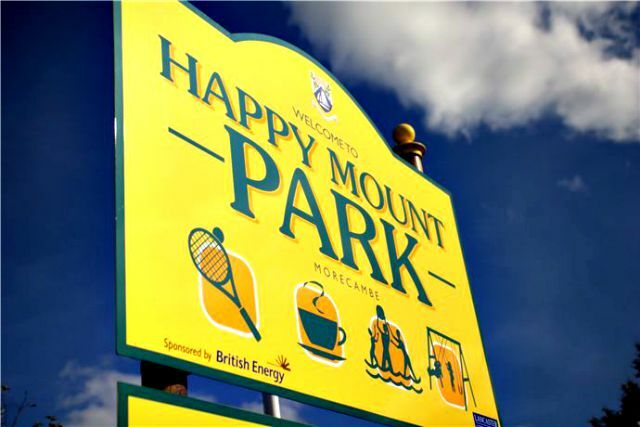 We didn’t visit happy mount park, but I think it still deserves a mention. 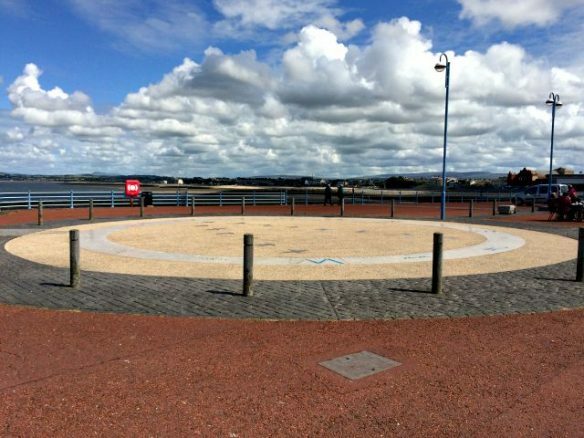 If you’re visiting Morecambe, especially with children, happy mount park is a must. 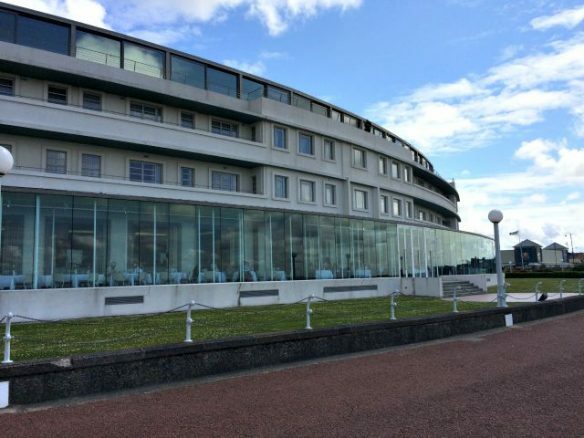 As hotels go, the Art Deco-styled Midland Hotel in Morecambe is pretty special. 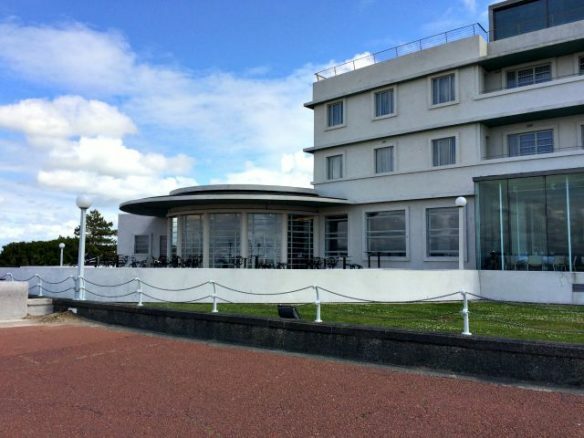 We didn’t stay there (out of our budget) but it would be silly not to include it in this post. Even if you can’t stay there, still pop in for afternoon tea. 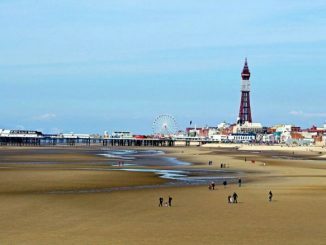 Having visited many seaside towns on our travels, we’re well aware of how inaccessible they can be. 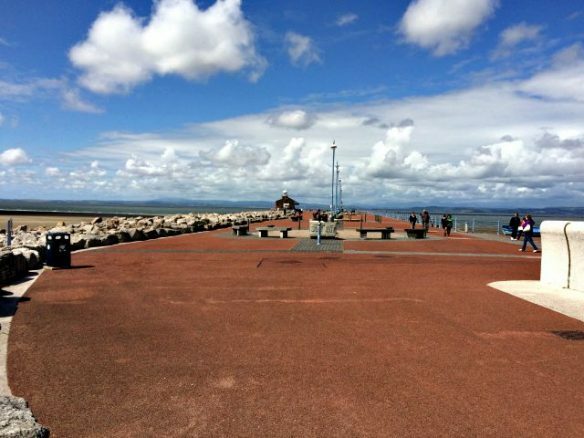 But, from our perspective, the promenade and jetty in Morecambe are wheelchair heaven. 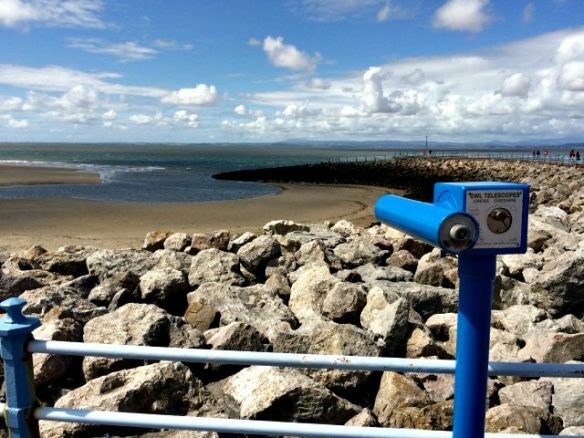 More importantly, there does seem to be a concerted effort throughout the town to make it accessible to everyone, for that Morecambe should be commended. 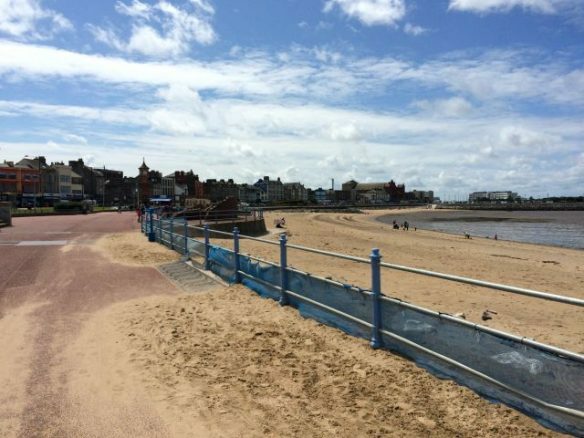 Morecambe has still got a few things to sort out, but it’s well on its way to becoming a vibrant seaside town again. 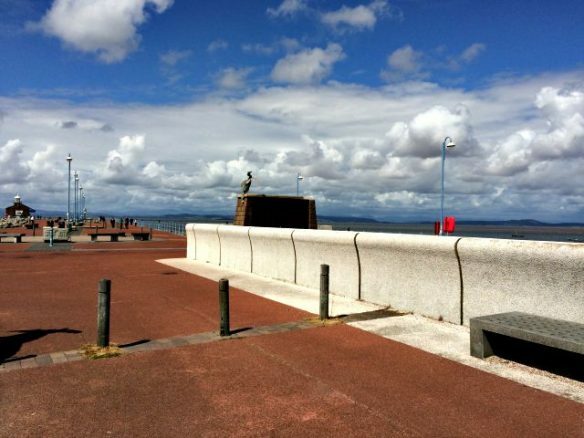 If you’re on a budget, especially with children in tow, Morecambe is a great place to visit. 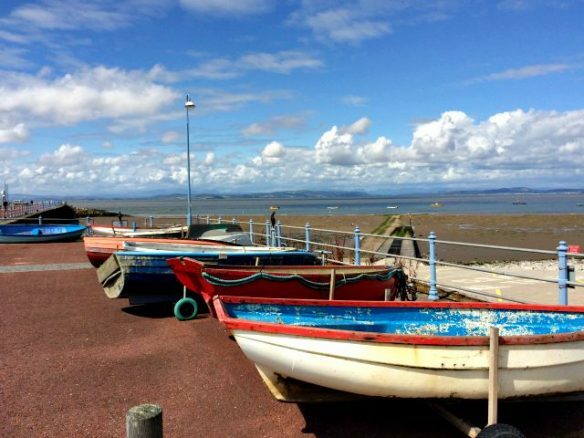 Morecambe has everything you need for a perfect day at the seaside, and the town isn’t over commercialised which means a day out needn’t cost a fortune. 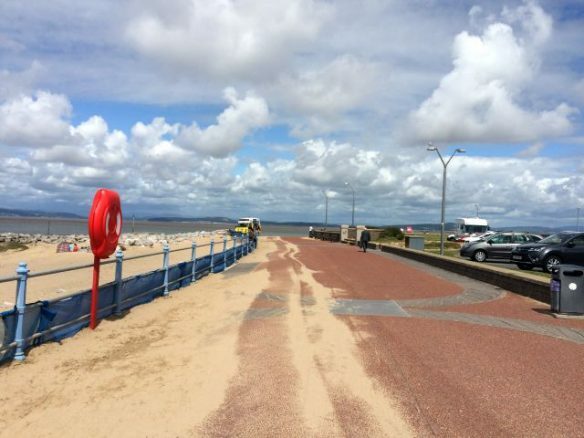 As an accessible destination, Morecambe is easy to navigate, generally flat and designed with access in mind. 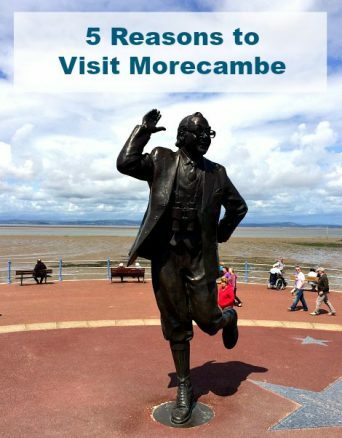 Please support Morecambe by visiting. 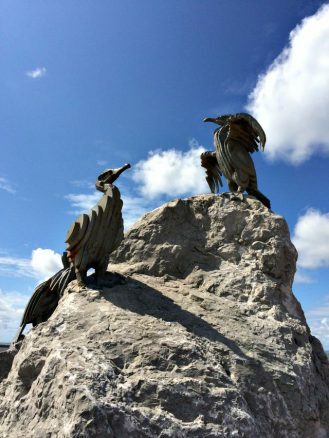 Love this blog…you are inspiring! Thanks so much Geraldine, we appreciate your comment and we’re glad you like the blog. 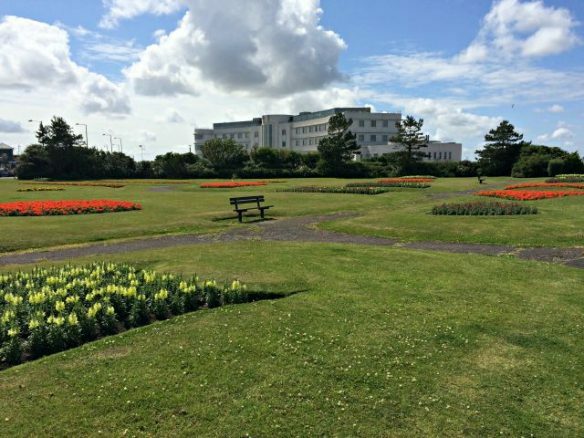 So glad you love my adopted home town, you’ve made me see it in a new light, we take the prom and its accessibility for cyclists, scooters, buggies and now, of course, wheelchairs for granted. 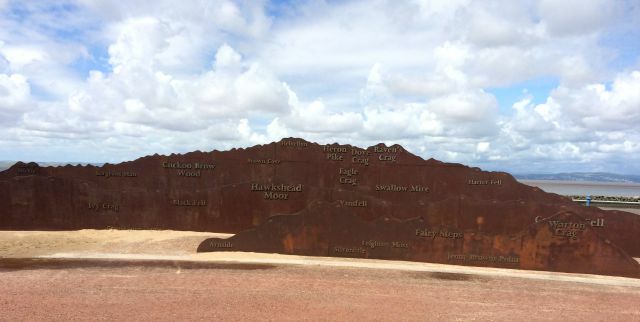 If any of your Bimblers followers also happen to be geocachers, please feel free to contact me through my GC profile (dooberrywoo) and I will happily give you info on accessibility of all the caches in the area. Thanks, Debs. 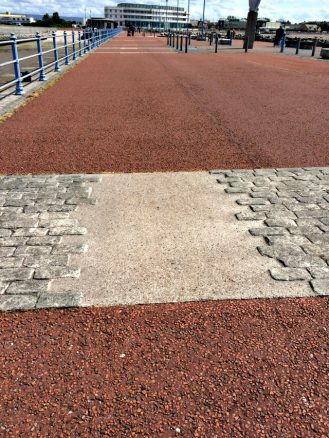 Accessibility is important, it’s little things like the flat areas which make all the difference. Also, thanks for the kind offer to help any of our GeoCacher readers – much appreciated. I was really pleased to read you enjoyed your visit to our lovely town. Happy travelling! 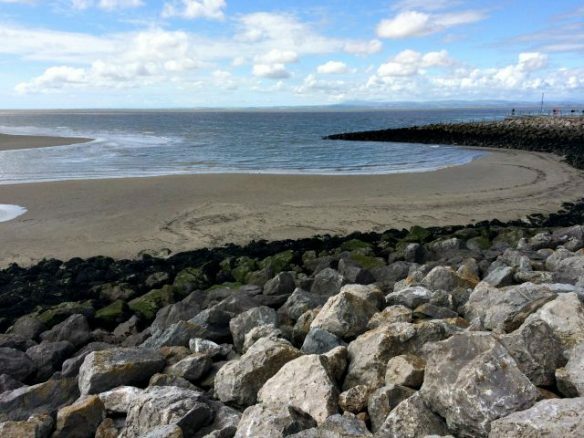 Thanks so much Louise, Morecambe really is a hidden gem! Cumbria Road Trip - Rain Stopped Play!